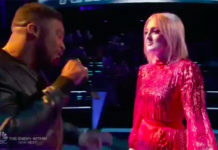 Brynn Cartelli from Team Kelly sings “Skyfall” by Adele on The Voice Season 14 Top 4 Live Finale on Monday, May 21, 2018. “I am so lucky. I am literally just aa cheerleader. She brings her own thing. I’m so proud of you and you’re doing what you love. You are inspiring and captivating to watch,” said Kelly Clarkson. 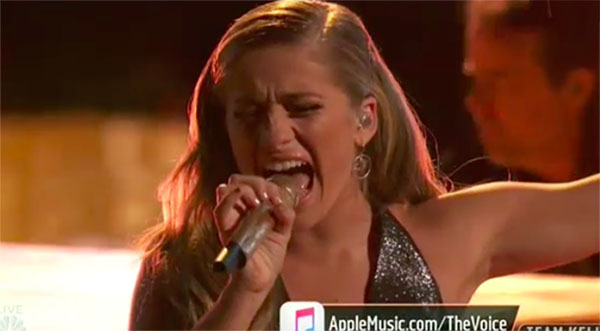 What can you say about Brynn Cartelli’s performance? Share your comments and views on the discussion box below. 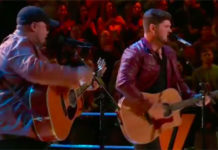 The Top 4 perform on The Voice Finale for your votes tonight. 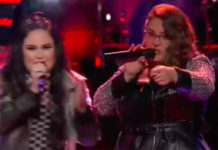 Each singer will perform three songs — a solo cover song, a duet with their coach, and an original song. Voting results and Season 16 winner will be revealed on Tuesday. Competing to the named as The Voice are Brynn Cartelli, Kyla Jade, Britton Buchanan and Spensha Baker. The Voice Finale airs tonight on NBC at 8/7c with Adam Levine, Blake Shelton, Kelly Clarkson and Alicia Keys as judges and Carson Daly as host.